Vietnam has made effort in protecting wildlife and its intensified law enforcement against traffickers is likely to make the country a role model in the field, said UK Prince William. The Duke of Cambridge made his statement during a meeting with Prime Minister Nguyen Xuan Phuc in Hanoi on November 16. Prince William, who is also president of United for Wildlife, is in his first visit to Vietnam where he will take part in an international conference on illegal wildlife trade in Hanoi on November 17 and 18. At the meeting, Prince William said wildlife conservation is a pressing, trans-border issue, stressing the key role of governments in ensuring the victory of the fight against animal trafficking. 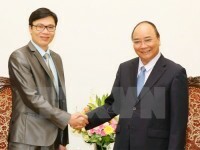 For his part, PM Phuc stated that Vietnam pays a particular interest to the protection of wildlife, with public awareness raised about benefits of the conservation and animal trafficking by air, road and water punished severely. Vietnam is looking forwards to receiving support from the UK to carry out its wildlife conservation more effectively in the future, he noted. Talking about bilateral relations, PM Phuc lauded the development of the Vietnam – UK strategic partnership in multiple fields over the years and considered economy an important pillar of the ties. Vietnam wants to deepen the friendship and partnership with the UK, he said, asking Prince William to assist further improvement of their joint projects in the coming times. Phuc proposed deepening and expanding cooperation in education, particularly boosting collaboration between UK and Vietnamese facilities for tertiary education, scientific research and vocational training. 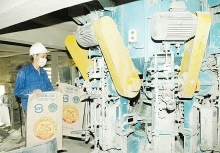 He expected the UK to facilitate English education and the building of a highly competent workforce in Vietnam as well as create favorable conditions for Vietnamese students to study in the UK. 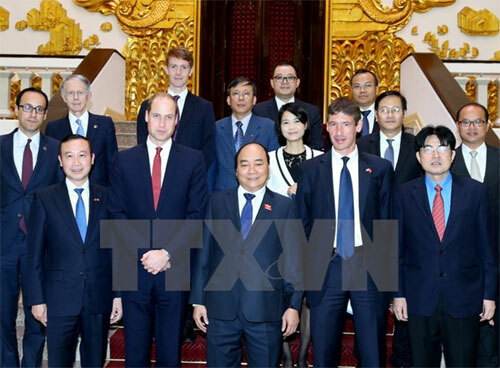 Prince William affirmed that the UK always attaches important to its ties with Vietnam. He said he will support the promotion of bilateral cooperation towards practical outcomes, particularly in education and trade./.